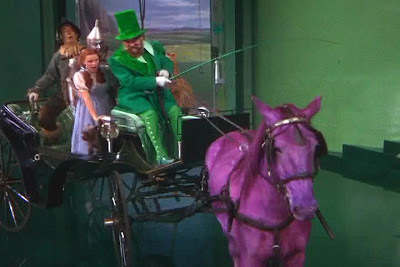 Spinning in the Teacups : Is There A Dead Witch Under My House? I see Hummers on a daily basis. Have I been in the city too long? Is this the norm for the suburbs? I'm used to seeing Hybrids, Smart Cars and Vespas. Although I did see my very first Smart Car last night. Finally! I saw a rooster the other day. At first, I thought he escaped from someones chicken coop, because that is the thing people do, have their own coops so they know exactly what to expect from their eggs. But do people do that here? A friend mentioned that they have wild roosters in Miami. Maybe they have them here too. I see people walking in the bike lanes, even though there are empty sidewalks right next to them. I never see cyclists. I see fast food restaurants everywhere. I'm not used to that. Shortly before I left California, a tourist couple from The Netherlands asked me where McDonald's was. I had to think about it. They are so rare in San Francisco. I don't see common recycling efforts here either. Where I'm from, they have trash bins with a separate area for recycling. Also, plastic bags are banned, but not here. They use them like they are in a mad rush to quash what is left of the ecosystem. I commonly see smokers. I guess that shouldn't surprise me, smoking is allowed in the casinos, and casinos are what drives this town. But still, it does cause me to take a double-take when I see someone lighting up. I've never even tried cigarettes. I'm very anti-smoking. I think it's a dirty, dangerous and disgusting habit. I would be embarrassed to ask for cigarettes at the store. Some establishments have no-smoking policies, which is great to see. With all these scenarios, I don't have to follow the bad examples. I can live the healthy life I want to live, even though I'm not in California. If there is a dead witch under my house, that is OK. Wasn't she a bad witch? I can go forth and get to where I want to be. 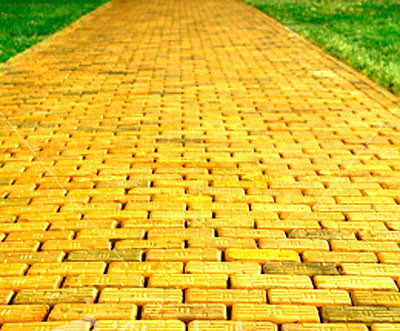 I'm just following the yellow brick road to my future.